Collects Conan (2004) #20-39. “The Tower of the Elephant” and other stories! 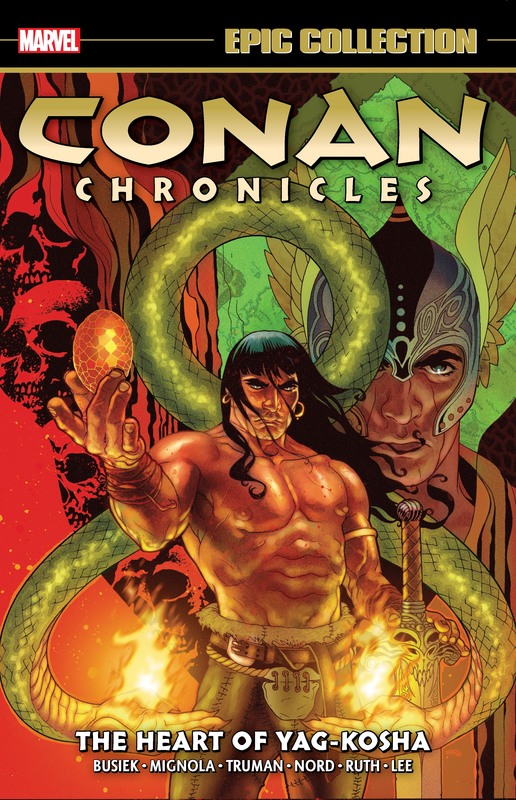 Conan the Barbarian stars in more legendary tales filled with swords, sorcery, giant spiders and monstrous creatures — including stories adapted from the original works of Robert E. Howard! Stealing the priceless gem the Heart of the Elephant from an unguarded tower seems like child’s play — but nothing’s ever easy for Conan! 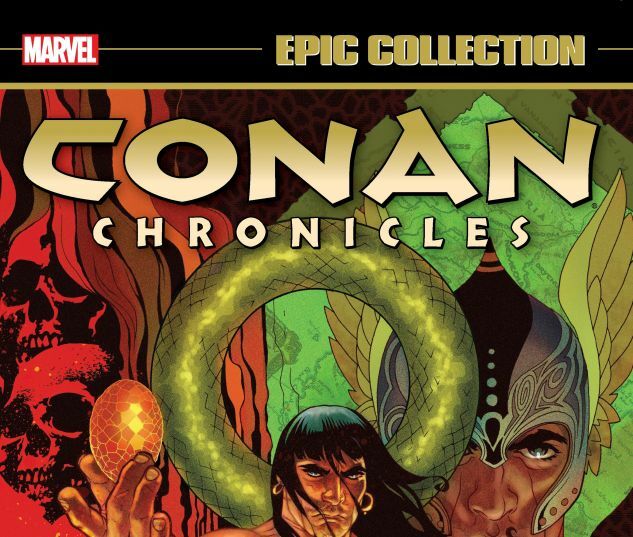 Then, a dalliance with a magistrate’s wife spells trouble, and Conan’s adventures in the City of Thieves continue as he runs a gauntlet of threats both human and inhuman! But what grotesque horrors await him in the Hall of the Dead? And is anybody ready for Conan…the King? Plus: Tales of Conan’s youth as he braves the Battle of Brita’s Vale — and rides a wild Cimmerian bull!